The Gold Coast residential market is enjoying strong growth post GFC, with land sales increasing by 92 per cent in the past 24 months, according to new research by property services group Oliver Hume. Land sales increased from 651 at the bottom of the market in 2012 to 1,252 in 2014. It’s a positive outlook for the region, with 2014 sales up 53 per cent on the five-year total land sales average of 820 sales per annum. Prices have remained rock steady across the entire Gold Coast land market post GFC, falling only $4,000 on average from $234,000 in 2009 to $225,000 in 2012. “The land market is now fully recovered and is moving into a phase of heavy growth,” said Oliver Hume Joint Managing Director Brinton Keath. “Record low interest rates, a steady economy and the heavy investment into the Gold Coast all appear to have contributed to the rise in sales. 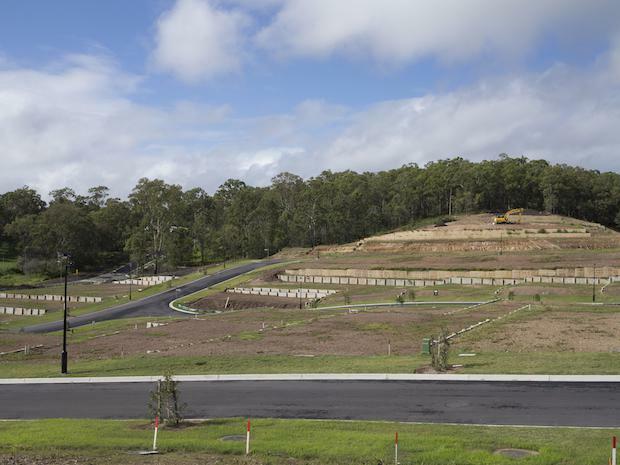 The future pipeline of land supply is moving away from the northern suburbs of Coomera and Pimpama to the central and southern suburbs of the Gold Coast. A total of 13,500 lots are planned for Cobaki Lakes, Casuarina and Worongary, but only 2,900 lots are planned for the northern suburbs of Coomera and Pimpama. The potential 10-year pipeline of land is currently sitting at 17,800 lots. Oliver Hume is currently marketing over 11,000 land lots within the South-East Queensland market.